One small step for man, one giant leap for stag and hen kind. Be the first to take your last night of freedom to the extraordinary heights of space with this once in a lifetime adventure. Here at LNOF, we like to think we’re innovators. We offer weekends in almost every destination of the globe, and now we’re helping you take it boldly where no stag or hen has gone before. That’s right; all the way up to space. This is one small step for weekends, and one giant leap for stag and hen kind (that works…). Forget the standard night out and recovery breakfast, and imagine rising high above the sunrise, gently ascending under a balloon and floating into the deep, dark blackness of space. This amazing experience is booked and operated by space specialists, World View, and your once-in-a-lifetime journey starts as soon as you step aboard the special spacecraft, at Spaceport Tucson in America. Fitted with six passenger seats for you and your friends, as well as two for the crew, this is a way to enjoy the depths of space in luxury. It even has a toilet and its own bar on board to toast reaching space, which can be stocked with the tipple of your choice if you buy all six seats. The 'shirtsleeves' environment does not require any previous experience or training, just a strong stomach, as you enjoy the thrill that has been solely reserved for astronauts over the past 50 years. 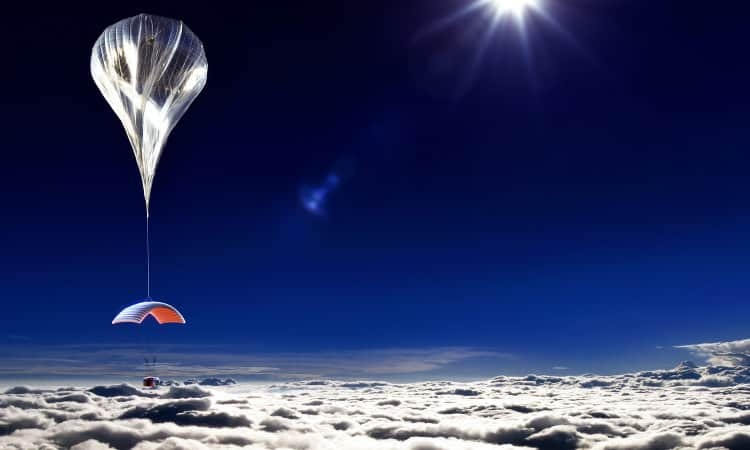 The 9,000lb capsule will be launched into the stratosphere by a huge, helium-filled balloon (it’s a lot safer than it sounds). You’ll even be taken up pre-dawn to witness a sunrise, or ‘star rise’, from space. 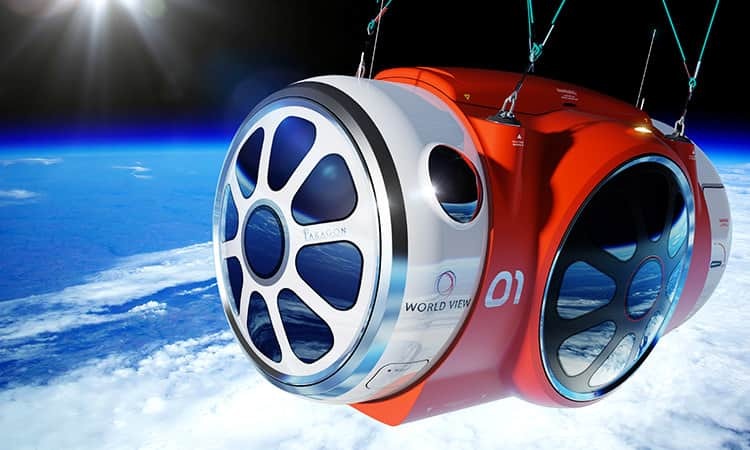 The ship (or gondola) will then cruise at 100,000 feet for two hours, and you can walk around the craft as you skim the edge of space and enjoy the breathtaking views of planet Earth, before you descend back home. Did we forget to mention that you will have access to WiFi so that you can share your experience in real time from space? 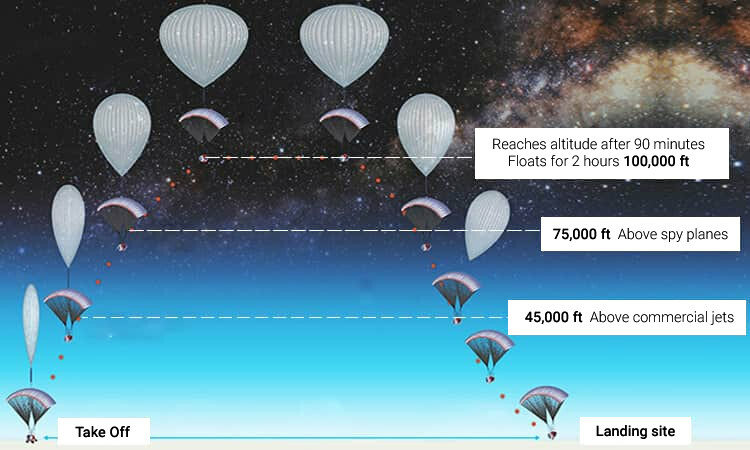 To get back to Earth, the pilot (you didn’t think you were flying this…) will vent helium from the balloon and, after a certain period of time, the balloon and capsule will separate. You will then land at a pre-determined site with the aid of a steerable, parachute-like device called a parafoil. That isn't the end, however, as a private jet will take you back, as the capsule can float up to 300 miles from the launch site. This certainly ticks all of the boxes for an unforgettable last night of freedom, and if you want to be the first stag or hen weekend in space - and have $75,000 to spare each - give World View a call on 001 520 745 4445 or visit worldview.space for more information. Click here to view the top trending stag locations and hen locations, including all the information you need on our other adrenaline fueled trip, to the North Pole.